After exploring the City of Brotherly Love, my buddy Dan and I braved the rain and wind on a blistering late New York night for some wholesome goodness. 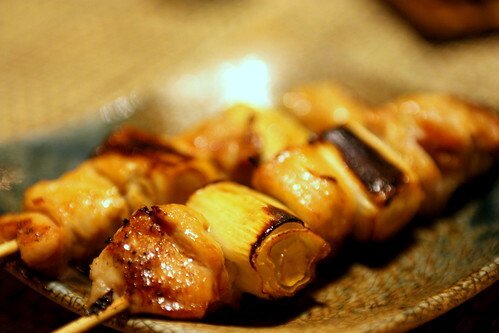 The wholesome goodness in this case would be grilled meats (yakitori) and beer, and lots of it! 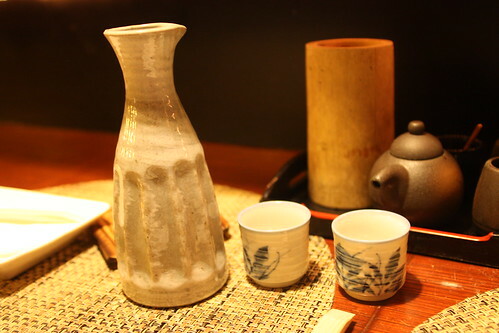 Before ordering, we both decided to start off with some hot sake to warm ourselves up. Living in Los Angeles really made me weak in regards to rain and the cold. It was a real nice pick me up! 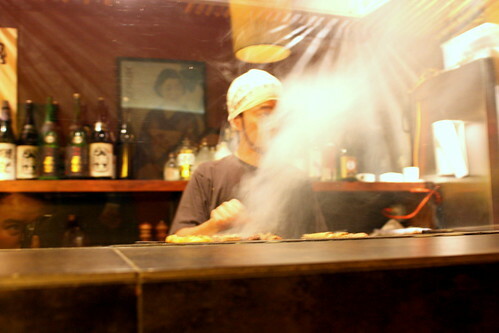 After we ordering, I just had to take a few shots of the grill master at work. Luckily we had a seat right in the middle of the bar. 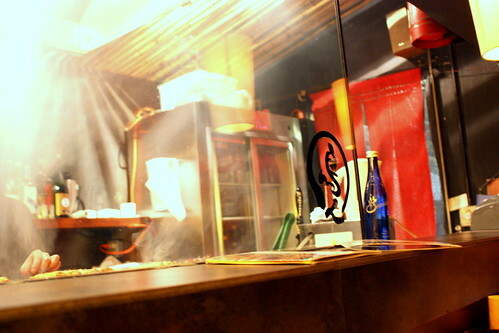 Don't worry, future patrons of Yakitori Totto, as shown on the picture above, the grill is separated by a glass, so the smoke does not seep into the dining room. Genius! After plowing through our sake, we started on the beer. What's better than the best Japanese beer out there? 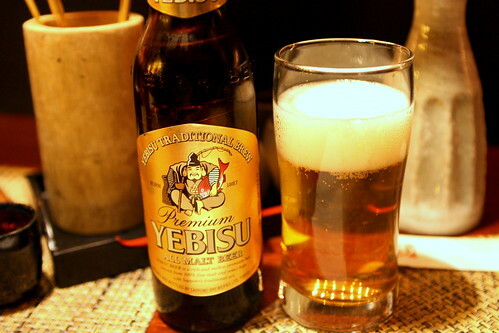 A refreshing cold glass of Yebisu! Refreshing, flavorful, and 100% delicious! The first dish went wonderfully well with our beer. 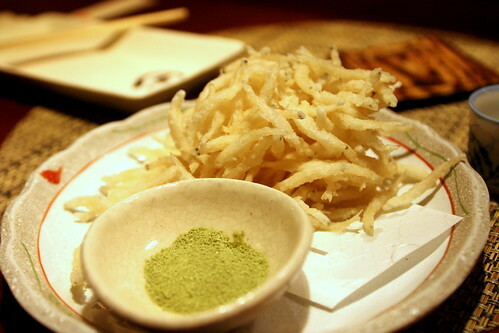 Fried shirauo (白魚), which are also known as Japanese whitebait. Fried perfectly and the green tea powder w/sea salt added a nice flavor to the fried fish. I'm definitely ordering this again! Another winner! 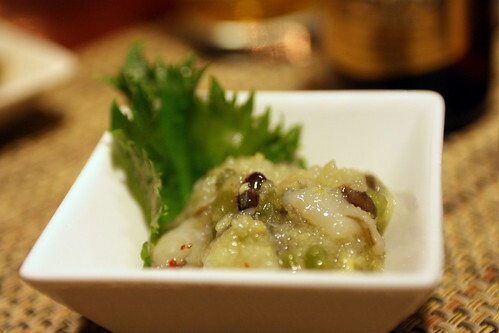 Fresh octopus (raw) marinated in freshly grated wasabi. 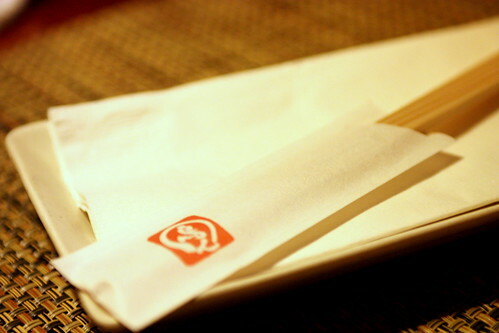 The flavors of the wasabi was strong, but not too overpowering. 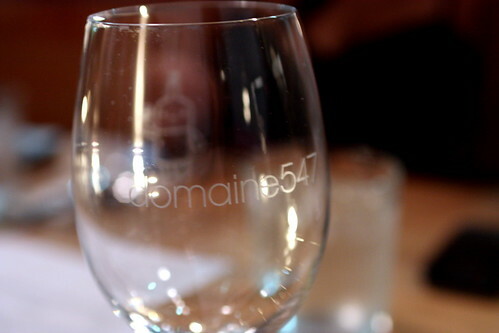 In fact, it was quite a refreshing course. 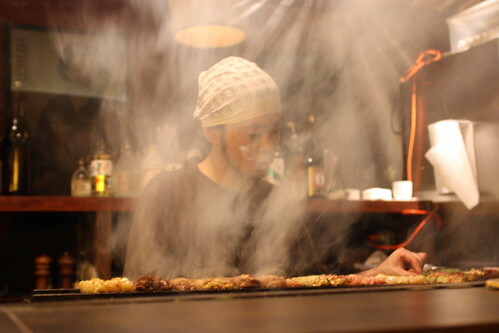 Another pre-yakitori winner. 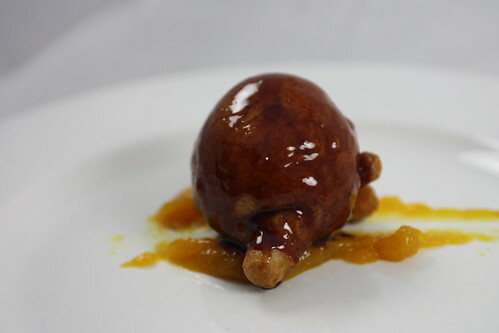 This dish reminded me of dish you'd find at dim sum, but done in a more elegant manner. 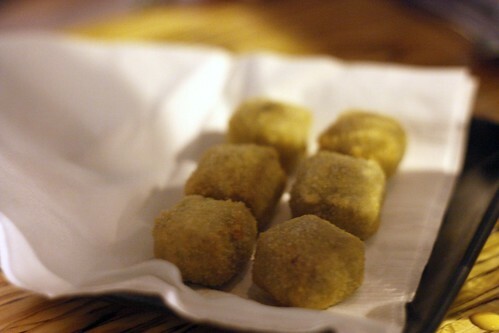 The chicken balls were cooked well, and maintained its juiciness. 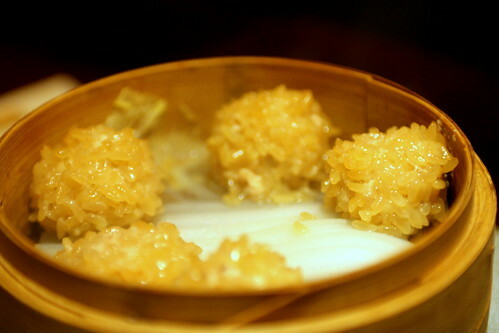 The sticky rice added a different, yet wonderful element to the dish. 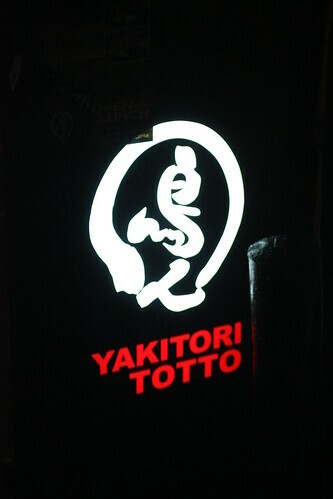 One thing I'll do different on my return trip to Yakitori Totto is to eat at an earlier time. 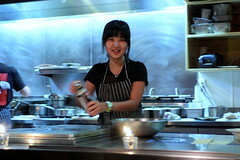 Since I was there after 10PM, most of the special menu were sold out, except for the chicken heart. 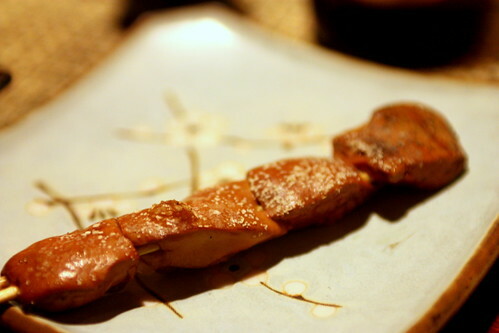 Unlike some of the other renditions of chicken hearts I've had here in Los Angeles, this version was MUCH better. I don't know if it's texture or the flavor, but something about it made me really happy! 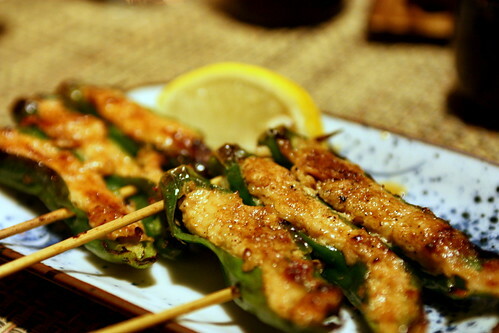 Who doesn't love chicken gizzard? Well, actually, ya, I can think of enough people that doesn't. 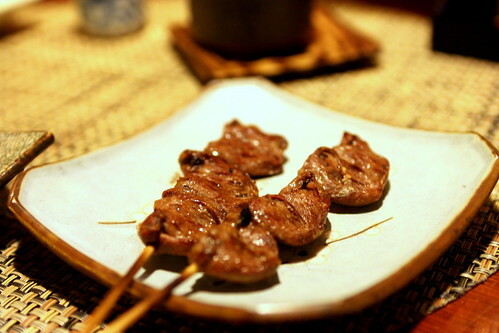 However, you haven't had a good gizzard until you try the version here at Totto. Crunchy, yet slightly juicy. 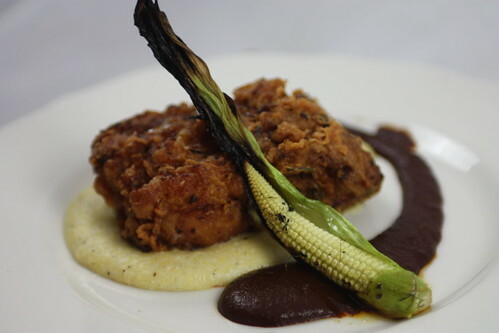 I loved the flavors of the spices used on the gizzard. Definitely one of the biggest winners of the night! Appreciate the gizzard, it's great! 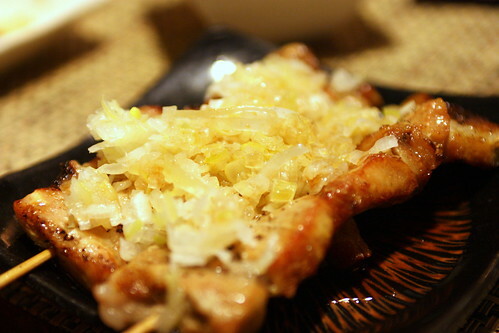 One of the staples of yakitori, chicken thigh and scallions. Wonderfully done, nothing to complain about this version here. Nice! OMFG! Ya, that is chicken skin. 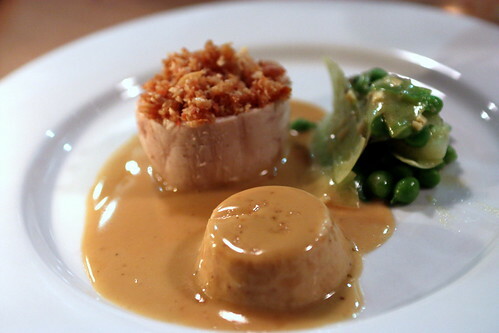 It's not pork belly, it's not some bacon wrapped enoki mushroom skewer, this is the truth! 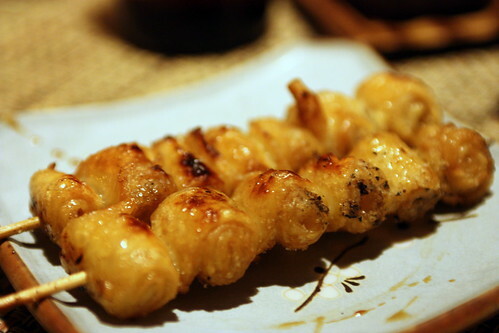 Unlike the flabby flat piece of skin served in many LA Yakitori places, here we have 6 rolled up, crispy chicken skin on each skewer. Simply, Mother-Effing good! Yes, it's good. Quote me on it! 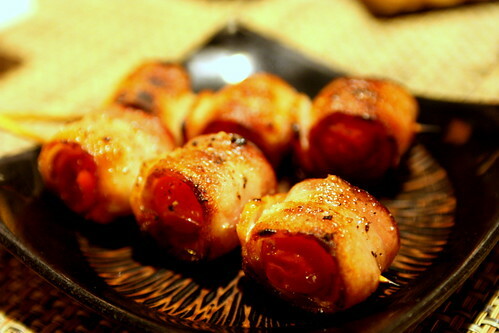 Juicy tomatoes, crispy bacon. Match made in heaven? I'm not sure if I'd go that far, so it's pretty damn good! 'Nuff said! More juicy chicken meatballs? Yes please!! And I'm not even a fan of chicken! Stuffed in Japanese green peppers? It's Bam Wham Thank You Ma'am good!! Here we have some delicious, fatty pork grilled to a juicy perfection topped off with some tart scallions. Great contrast to use the ponzu to counter the fatty pork. Delicious! 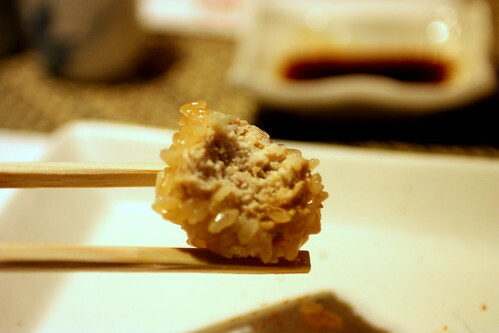 To finish my love of the chicken meatball served at Yakitori Totto, we went with the meatball skewer flavored with shiso. Shiso is one my personal favorites, along with the Taiwanese basil, so going with shiso was a no brainer. Other flavors such as salt, tare, and plum are also available. All in all, a fantastic experience. 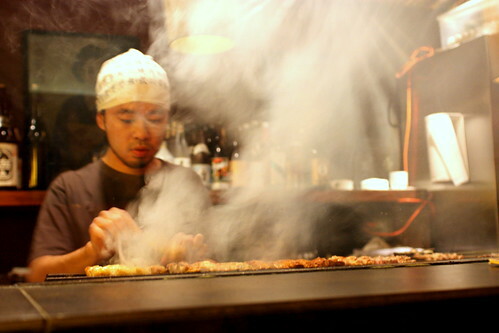 Can I say it's was the best Yakitori I've ever had? Without a doubt yes! Although I'm a Torihei fan in Torrance, sadly, Totto has Torihei beat hands down. 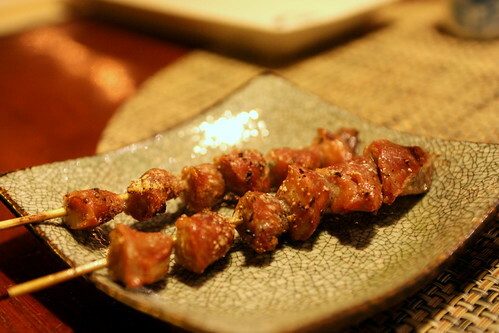 I did not have one bad dish during the meal, and that's with 5 of the 6 special skewers being sold out. 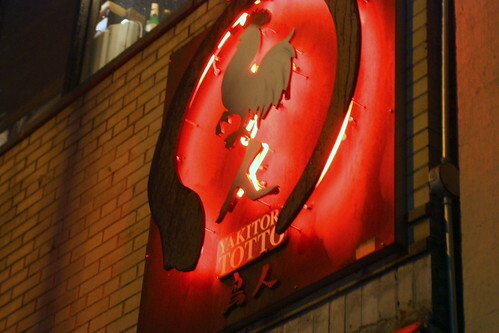 I can't wait for my return trip to Yakitori Totto, but you believe it I'll be the Asian dude with a camera waiting in line at 5PM waiting for it to open so I can try to run some sort of gamut! Maybe, not quite a gamut, but I'll order away! 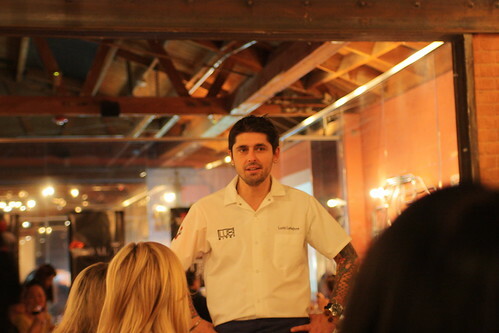 Welcome back Chef Ludo! 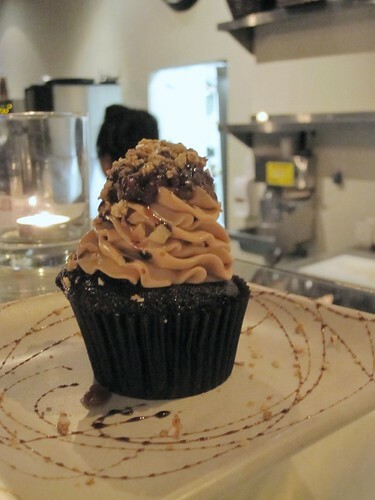 After writing my recent recap of Ludobites 2.0 & 3.0, I was ready to chow down at Ludobites 4.0 at Gram and Papa's (Which will run until the end of May). I was joined by my usual Panda Crew at the cozy location in Downtown Los Angeles. 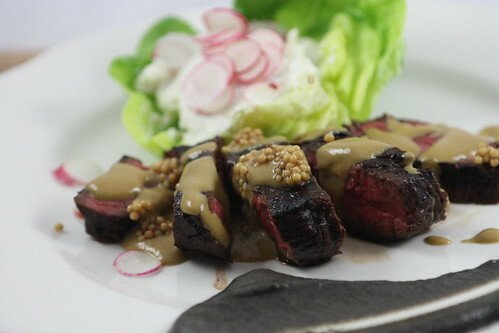 Since Umma Choisauce and J were at the recent FoodDigger dinner, I let the experts take over, though we ended up doing the "gamut" a la kevinEats style, but ordered extra of the good stuff! One more thing I love about Ludobites, BYOB! 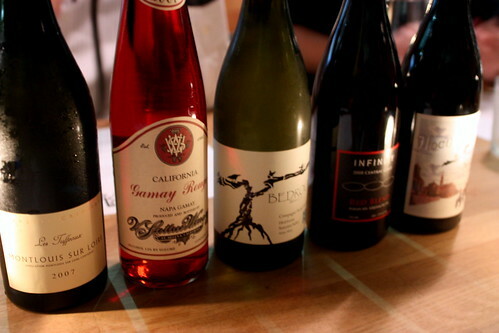 Don't forget to bring a bottle or two of your favorite wine to accompany the meal. Refreshing, light, accentuated by the tartness of the grapes. 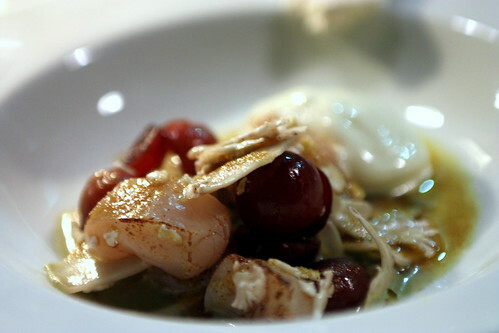 Very nice starting dish! 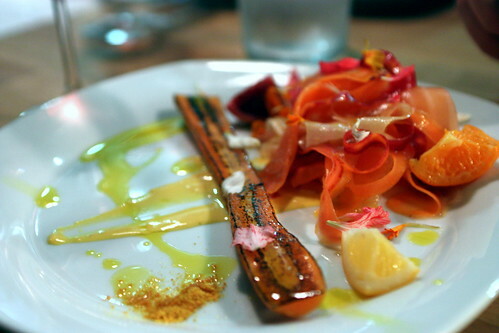 Superficially, it's quite a simple dish, but the carrot salad had a nice blend of flavors. 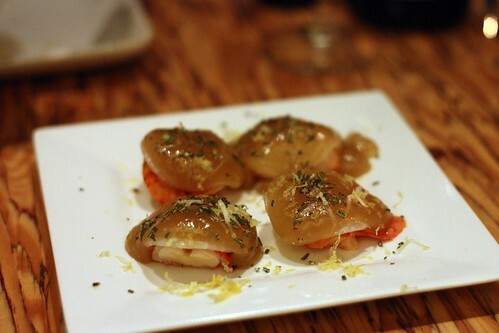 The tartness of the citrus, with the zing from the pearl onions, and finished off with wasabi. The finished product was quite enjoyable. I'll first to admit I'm not the biggest escargot fan in the world. The flavors is something I'll have to get used to. 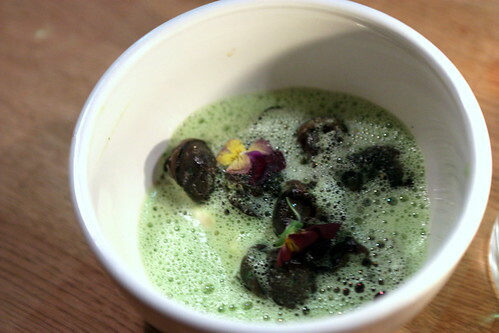 With that said, I enjoyed the escargot mixed with a flan mixed with garlic. 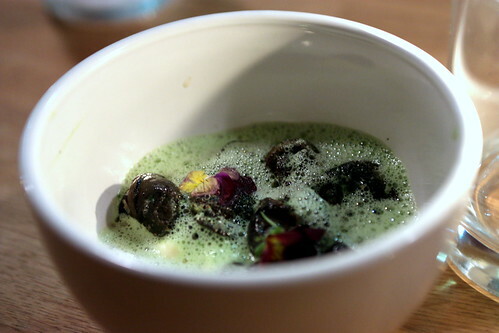 In a way, to help tone down the flavors of the snail, also, to add a nice silky texture to the dish. I enjoyed this quite a bit as Wesley of Twohungrypandas allowed me to finish the dish clean! Here we have a warm baguette with 2 types of butter. One was a whipped brown butter, and the other was a crack-infused (joking) lavender butter. 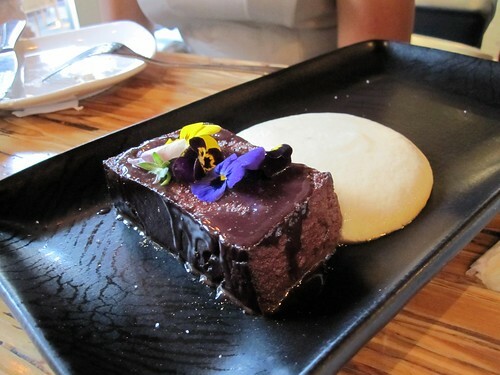 The lavender butter was something I loved from Ludobites 2.0 and I was glad to see it return to the menu! We must have went through 4-5 orders of the baguette and butter. Simply fantastic!! 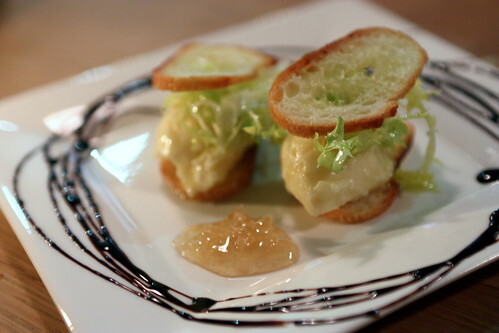 The rumor was, the brie was churned for over two hours by hand, and that was just it, a rumor. 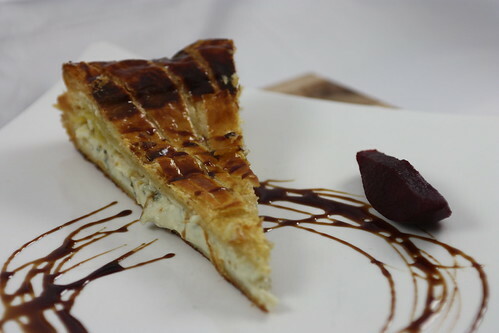 However, the brie itself was damn good! DAMN good! 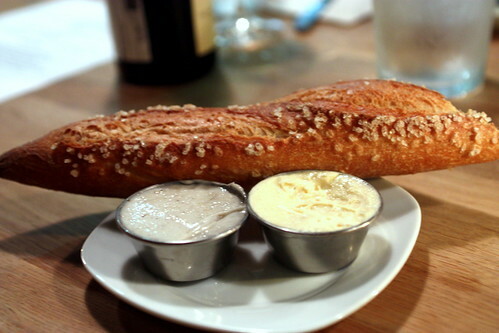 A little honey, a bit of that warm baguette, that's all I really need along with that churned brie. Ya, any cheese lover, or even a non cheese lover like myself could dig this! Honestly, I'm not sure what think of this dish. It didn't really stand out for me, but I didn't dislike it. Taste wise it was fine, but sadly, it wasn't too memorable. This dish is probably my favorite dish I've had a Ludobites. 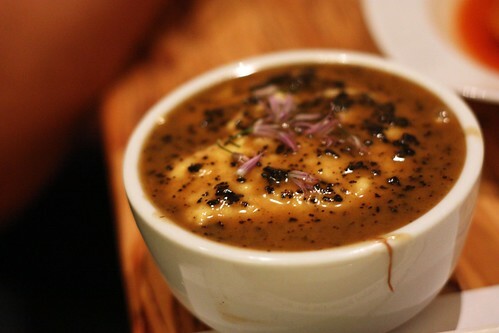 It's so good, I wish I had a dish to myself that night, errr which I actually did since we went through 6 orders. Ya, it's so good I wish I could eat it right NOW! 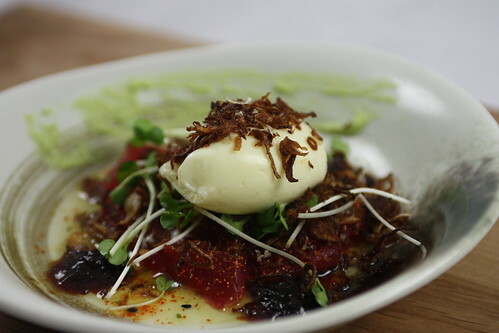 Soft poached egg, potato puree and lobster, what can go wrong with that combination?? 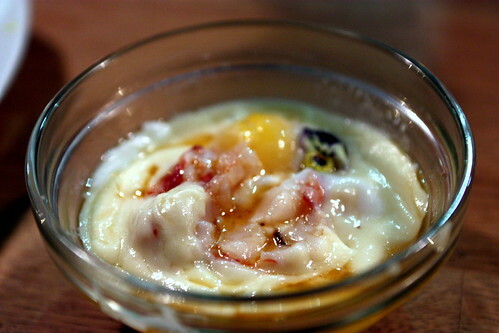 The softness of the potatoes, the creamy egg yolks, and the sweetness of the lobster, it's simply divine! 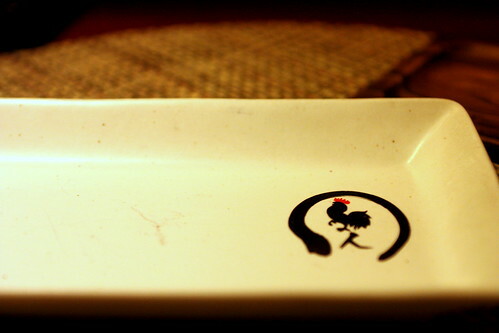 I hope to see this dish return when I go back next month! 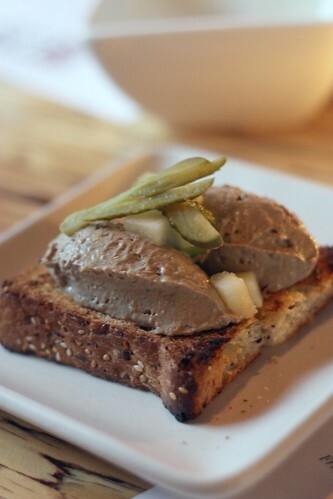 Ludo's Foie Gras Croque-Monsieur really needs no introduction. 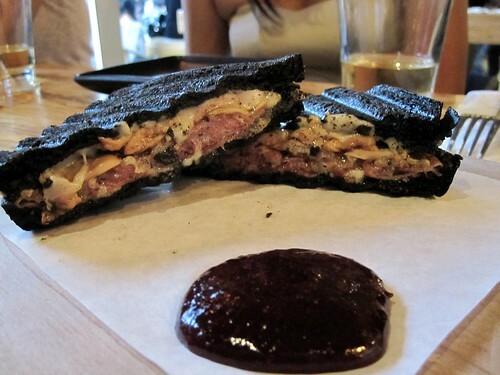 Foie Gras, Ham, Cheese all meshed together on a squid ink bread. Is it rich? Yup! Will your doctor care if you eat it? Probably. Do I care? Nope! Even though I normally don't like sandwiches unless I have no other choice, the foie gras croque monsieur is fantastic. This is another one of my Ludobite favorites. Do I normally like chicken? The answer would be a big fat NO! 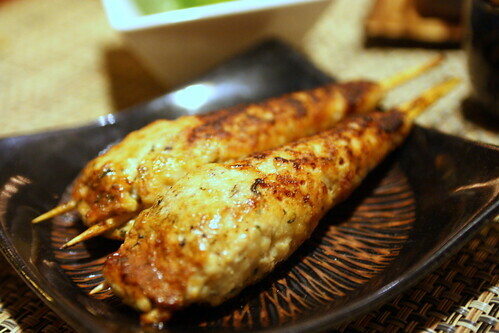 However, when I heard from Choisauce this was, quote: "...this was EASILY the moistest chicken I HAVE EVER HAD IN MY LIFE. like WOAH, LIKE WOW." 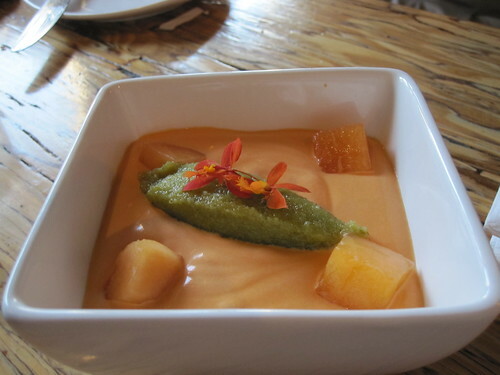 I knew I'll like this dish, simply because I trust her palate. The chicken, as promised was simply delicious! 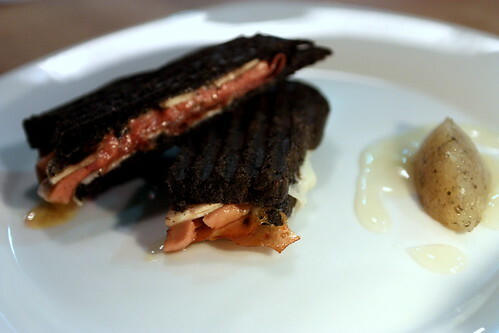 The accompanied black truffle bacon royale was fantastic as well. Ya, I dig this chicken. 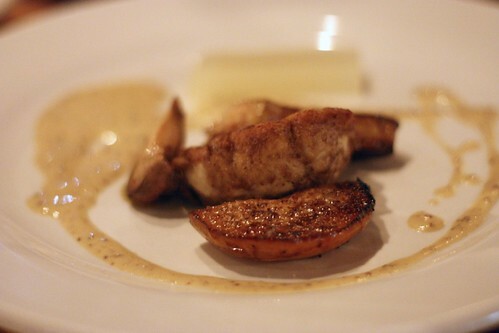 Simply put, bar none, one of the best chicken dishes I've had to date! I'll say this, as I mentioned above, that Jidori chicken dish was probably one of the best chicken dishes I've ever had, but I think Steak "Au Poivre" was even better. 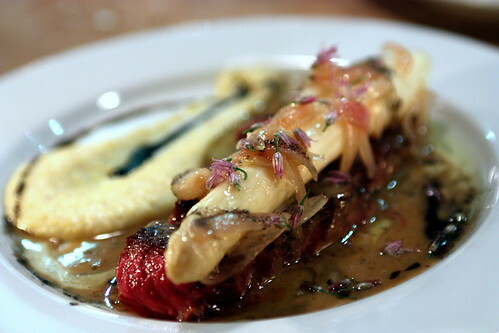 Let me just say: Steak (I think flank) cooked rare to medium rare, add in some polenta with a bone marrow sauce, finished off with a nice crisp white asparagus, does that sound good or what?? 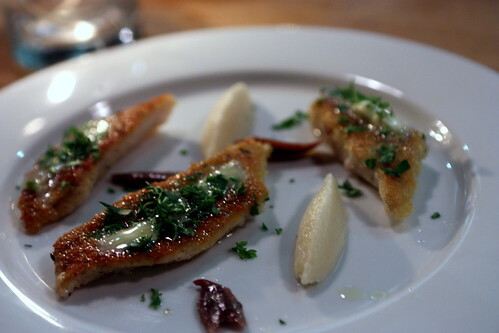 So yes, this dish was fantastic, and I'd order this again, and again! 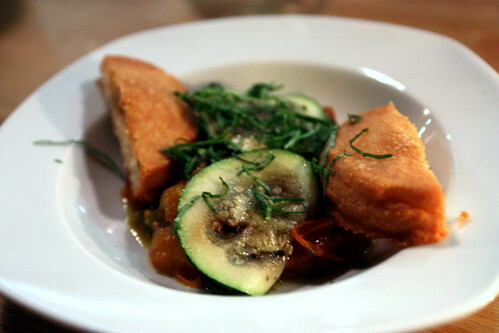 Compared to the first two dishes, the Merlan "Colbere" (Deep Fried Whiting) was very simple, but did not stand out. The fish was cooked to perfection and delicious. 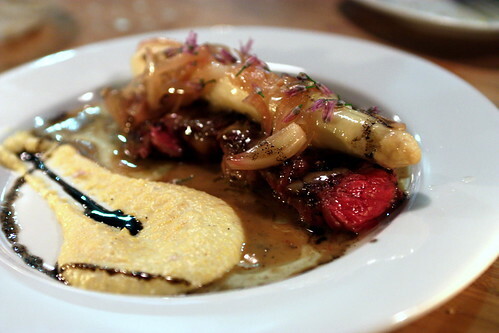 All in all, a very simple dish, perfect for those that doesn't care for the richness of the steak dish. And on that note, onto dessert! 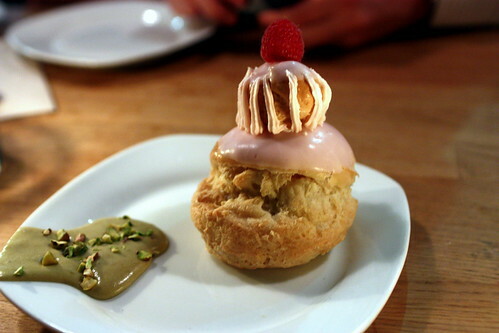 For this, think cream puff, just with a tart berry filling. I was surprised how quickly we attacked it as it was SO good. So good in fact, we had to get a 2nd order of it. I thought it would be a sweet dish, but it was quite the opposite. A very nice palate cleanser. In addition, as a pistachio fan, I enjoyed the accompanied pistachio parfait. 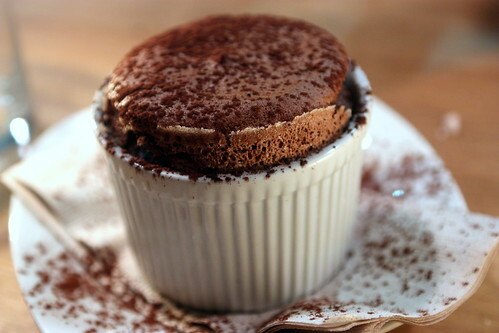 Finally, what's a better way finish off a meal than a chocolate souffle? 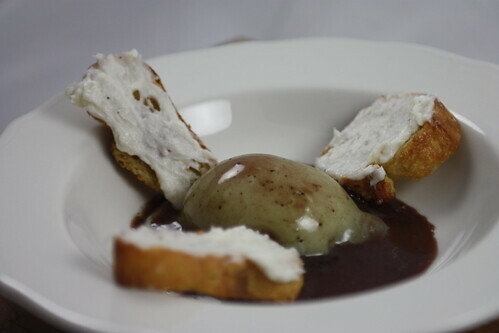 Rich, but not too rich, and with the added ice cream and hot chocolate cream, it's quite the chocolate trifecta! 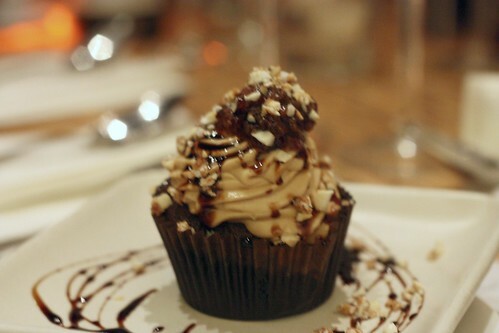 Delicious and quite enjoyable, especially for those chocolate lovers out there. Quite simply, Ludo Lefebvre did not disappoint. 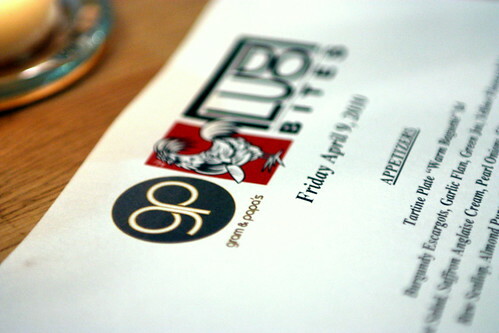 The menu was spot on, the dishes were spot on, and should I say I liked it A LOT more than Ludobites 3.0 at Royal T? 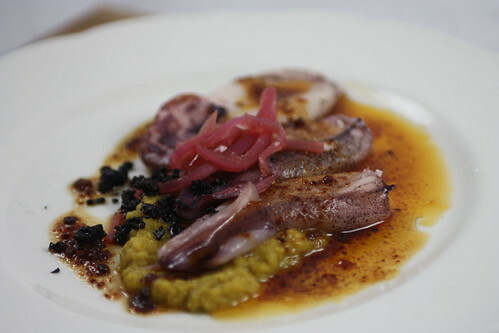 I can't wait for my next dinner at Ludobites in May. 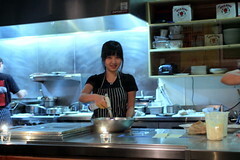 I hope to see some new dishes and some of my favorites along the way. 2 thumbs up from this Panda! It's time. What time you ask? Ludobites is back! Yes, Ludobites is making a return, and this time, luckily for me, will be located in Downtown Los Angeles at Gram & Papa's. Instead of a normal post, I'm gonna do a picture rundown of my personal favorites from Ludobites 2.0 at Breadbar and Ludobites 3.0 at Royal T. For those that want to read more of a comprehensive post, please read my 2.0 and 3.0 experiences. These shots are taken with both my Canon dSLR and Point & Shoot, the best brand if you're looking to get a dSLR or P&S camera. 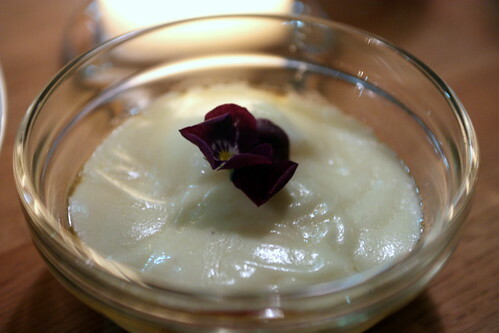 Creme Brulee with lychee? 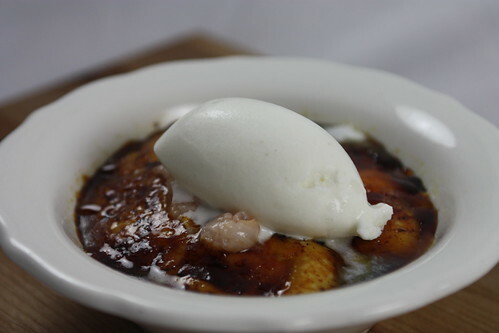 Let me just say, the BEST creme brulee EVER! That is all. Yes, Chef Ludo, I'm a fan. I'm ready for Ludobites 4.0 at Gram & Papa's. Now the question is, are you?? ?